Houston has been playing decently of late, but not impressive. 11-10 in their last 21 games, they have come back to earth as they have started to get back key guys from injuries. They are primarily healthy for the big showdown tonight, however. 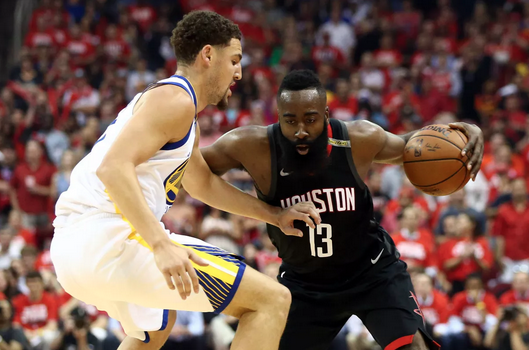 Golden State faces Houston while at full strength for the first time, and it should be fun. Seeing how Capela can handle Boogie Cousins should tell us a lot about how the two teams stack up when facing off head-to-head. This is a very talented group, but one that has surely underachieved. They are missing Trevor Ariza now, and have been all season. His defensive versatility was a major key to how they played. James Harden has been the unquestioned leader as CP3 and Eric Gordon have gone in and out of the lineup, while Clint Capela just missed a full month. He’s averaging 36.5 points per game, the most by anybody since Kobe averaged 35.4 during the 2005-06 season. And it seems to be pretty effortless for him, with just a few moves in his back of tricks that work again and again. They are lucky to be at full strength now and have a guy like Kenneth Faried who can play at a high level off the bench. He will be vital to the matchup as a means of providing energy when he checks in. Austin Rivers has also fit in very well here, while Gerald Green keeps splashing all of the threes off the bench. Depth has become a secret advantage for Houston in most of their matchups. At 42-16 and atop the West yet again, the Warriors are looking at a new challenge: to incorporate Cousins into the lineup. He’s been averaging 14.2-7.1-3.7-1.1-1.2 while shooting 43% from the floor. He is clearly not the player he was pre-injury, and that is a surprise to nobody. He will find his footing, and when he does this team becomes scary. When they started Damian Jones or Kevon Looney, they lack a scorer at the five-spot or a playmaker of any kind. Now they have five threats on the floor. Always. Curry continues to knock down threes at a ridiculous rate, with Klay trailing him. They combine to make eight deep balls a game while shooting over 43% from beyond the arc. They will go down as the greatest shooting backcourt in the history of the game, and it is unlikely that they can ever be usurped. We’re riding with Houston! They couldn’t beat LeBron’s Lakers on the road the other night, but this is a different game. It’s about revenge from last season’s playoffs. Be sure to bet HOU +8.5. That is the way to go, and Harden is going to go off for 50 to help lead his Rockets to the win.